Play mats transformable house mat 135 milk-Design Skin's innovative, patented design allows our play mats and furniture to easily transform to various shapes and structures. Our high-quality material is nontoxic, soft, and smooth for babies and children to play without any harm. A great way to combine learning with fun. 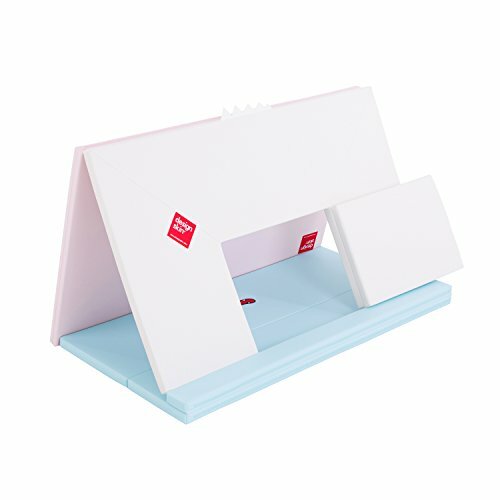 Our foam products stimulate spatial reasoning, imagination, and creativity development through the change in shapes from tunnels, houses, sofas, desks, windows, stools, and more. We use first grade safety materials and non-toxic foam and its corners are soft so children can play freely with these light pieces. Its materials also bring unbeatable nose reduction and sound proofing. Environmentally-friendly compressed and cross-linking interior material, Air cell Pad or HR block sponge (varies by product), and covered with handmade nontoxic polyurethane fabric. Our PU fabric has a unique softness and will not peel over prolonged usage. All of our designs complements home decoration and style. for ages 2 plus months. If you have any questions about this product by Design Skin, contact us by completing and submitting the form below. If you are looking for a specif part number, please include it with your message.